Portrait Of Unhappy Young Attractive Black-skinned Man With Curly.. Stock Photo, Picture And Royalty Free Image. Image 90934149. 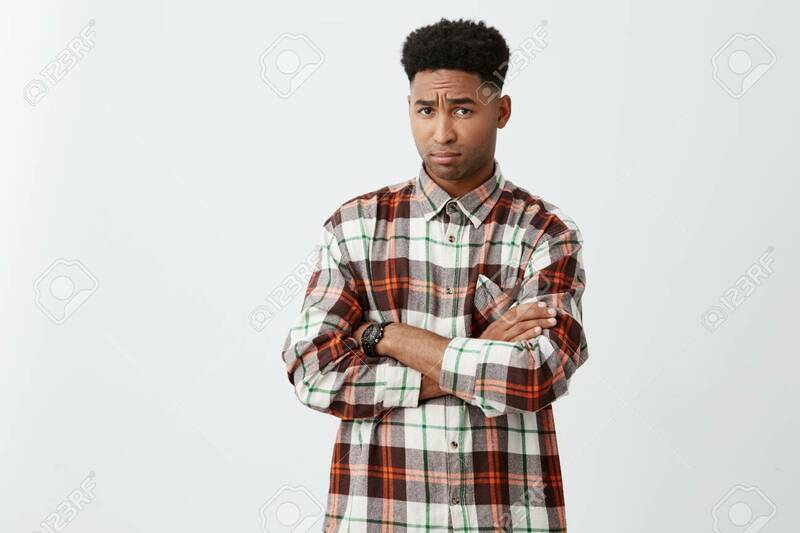 Stock Photo - Portrait of unhappy young attractive black-skinned man with curly hair in casual checkered shirt crossing hands, looking in camera with offended expression after argue with girlfriend. Portrait of unhappy young attractive black-skinned man with curly hair in casual checkered shirt crossing hands, looking in camera with offended expression after argue with girlfriend.